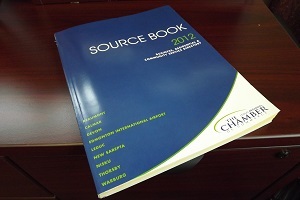 The Chamber is proud to present The Source Book free of charge to all businesses and residents in Leduc and surrounding communities. The directory is an excellent reference and advertising tool, which has proven over the past years to be of great assistance with inquiries from all over North America regarding Leduc and area. More than 25,000 copies will be distributed in January, 2013. And members are offered special advertising rates.